I, Donald Helms, Chairman of the Botetourt County Republican Committee do hereby call a meeting of the Botetourt County Republican Committee to be conducted at the Old General District Courthouse in Fincastle, VA at 7:00PM on Tuesday, March 12, 2019. 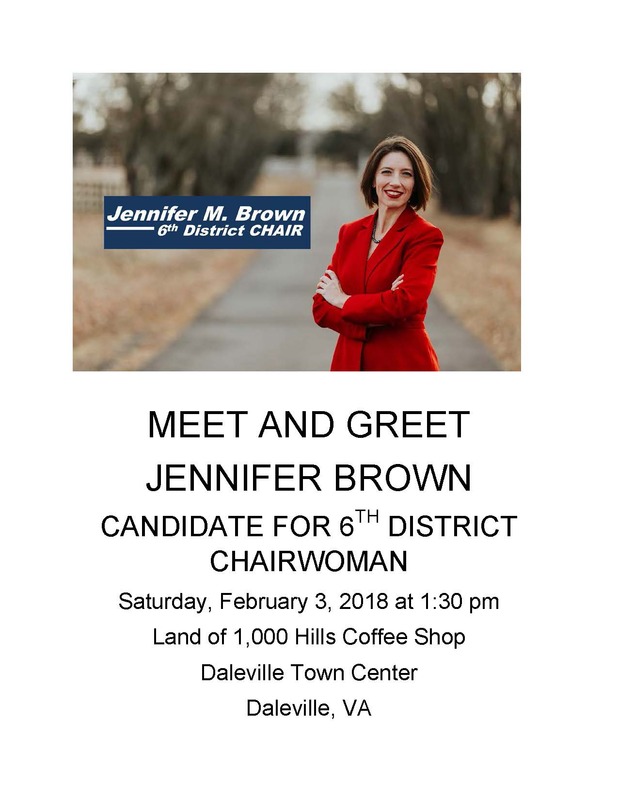 Folks, we’ll hold a brief committee meeting starting at 6:30pm at Bellacino’s in Daleville, followed by a Meet & Greet with Ben Cline. Pizza and drinks will be provided. Bring a friend! Yard signs and bumper stickers will also be available. I, Donald Helms, Chairman of the Botetourt County Republican Committee do hereby call a meeting of the Botetourt County Republican Committee to be conducted at Bellacino’s, 1176 Roanoke Road, Daleville, VA in the Banquet Room at 6:30 PM on Tuesday, September 18, 2018. 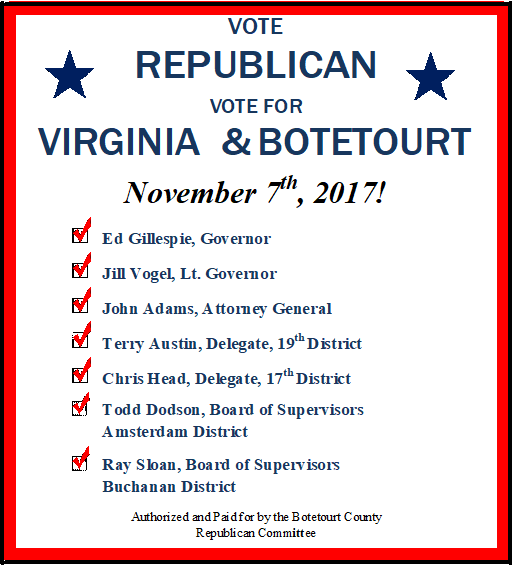 I, Donald Helms, Chairman of the Botetourt County Republican Committee do hereby call a meeting of the Botetourt County Republican Committee to be conducted at the Old General District Courthouse in Fincastle, VA at 7:00PM on Tuesday, August 14th, 2018. Copyright © 2018 Botetourt County Republican Committee, All rights reserved.